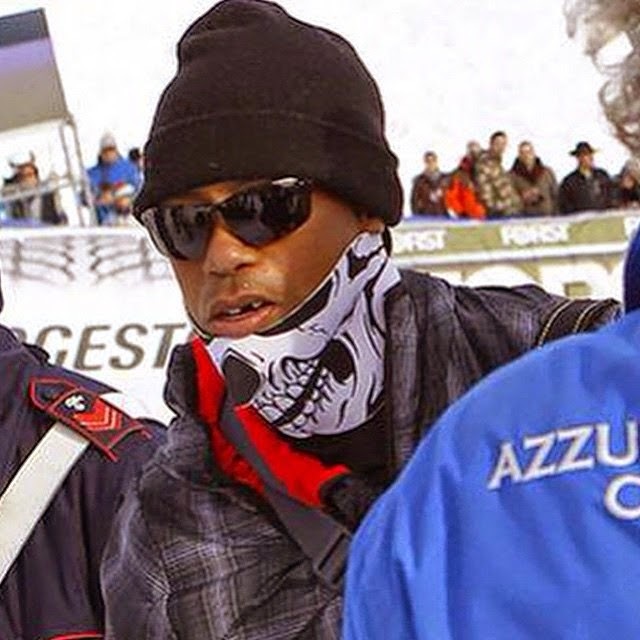 Tiger Woods has been dating athletic girlfriend Lindsey Vonn for a couple of years now and he made a surprise visit to Italy today to watch her receive her record 63rd World Cup title in ski racing. 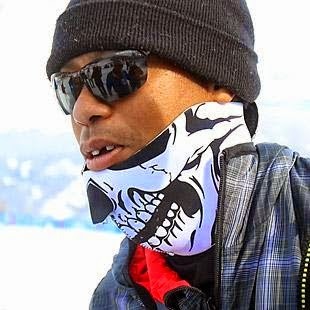 Because of his notoreity and how much the paparazzi like taking his pictures, the golf star decided to go incognito, wearing a hat drawn down over his face with sunglasses over his eyes, and a skull-designed bandana around his lower face. However, he had to pull down his mask to greet his girlfriend and photographers got pictures of Tiger Woods with his front tooth missing. According to ESPN, Wood's agent, Mark Steinberg of Excel Sports, the culprit was a camera. "During a crush of photographers as the awards podium at the World Cup event in Italy, a media member with a shoulder-mounted video camera pushed and surged toward the stage, turned and hit Tiger Woods in the mouth. Woods' tooth was knocked out by the incident." 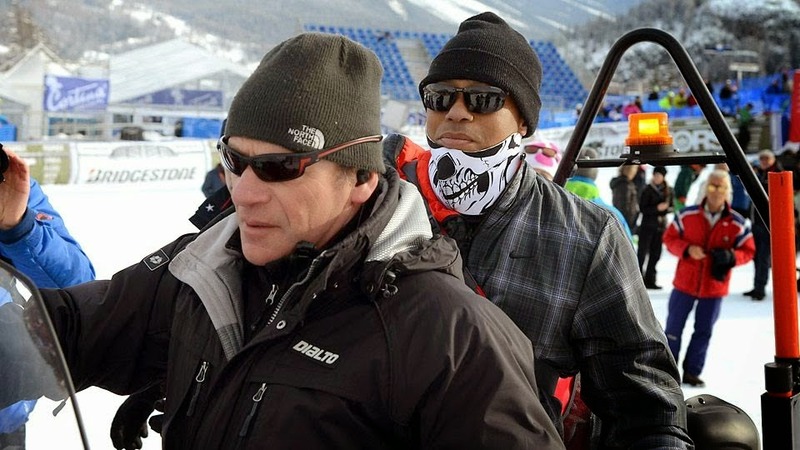 Lindsey Vonn told reporters that Woods, had arrived in Cortina to watch the 30-year-old skier shatter a 35-year-old record as a surprise. "He told everyone to keep it a secret. Normally no one can keep a secret in my family, but it was an amazing surprise. I'm so happy that he's here. He just showed up. He has a tournament soon, so he's got a lot of work (to do), and I'm surprised that he was able to come all the way over here for a few hours to watch me ski."